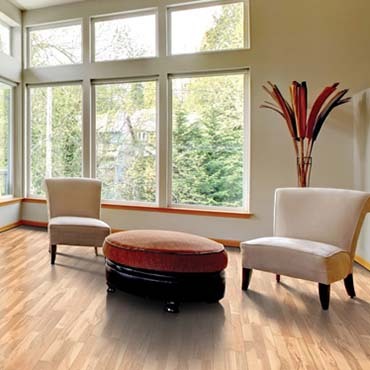 Quick Step Laminate Flooring offers more than the most beautiful floor you could ever dream for. 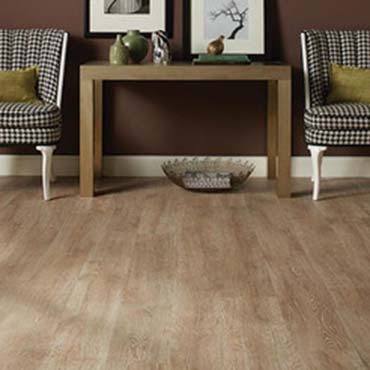 The following overview covers a range of the benefits for using Quick Step laminate flooring. 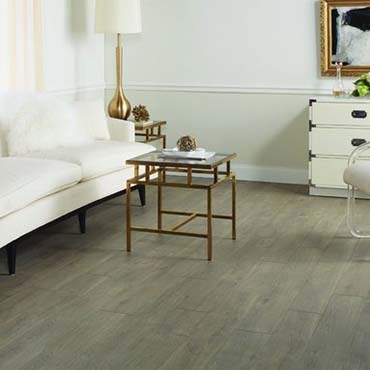 Equality of choice: Quick Step laminate offer the correct floor for every room of your home with wide and narrow planks, modern and traditional laminate tiles. And is suitable for every interior and everyone. Easy installation: Installation is a click, thanks to the unrivalled patented Uniclic® glueless system. Faithful to nature: All product are vigilantly designed to reflect nature. Your can see realistic patterns and varied hardwood and natural stone motifs. Subtle surface structures you can feel. Years of enjoyment: has exceptionally durable and abrasion-resistant characteristics… a wear surface of enduring beauty. 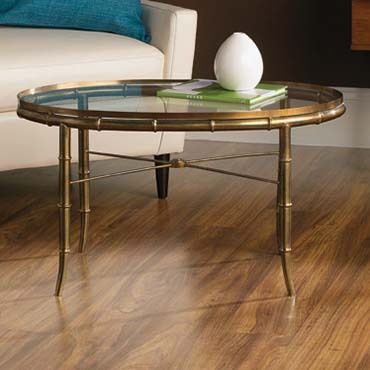 Perfect finish: offers a complete range of accessories, which includes everything you need to finish every detail of your floor. 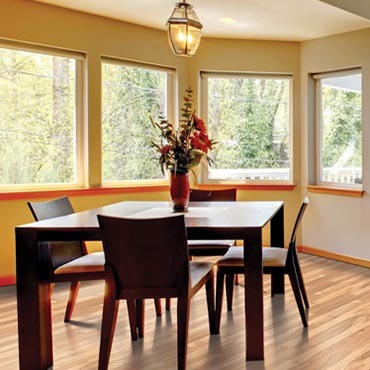 Spotless maintenance: The maintenance system cuts through dirt and grime, leaving you with a gorgeous floor to admire and more time to do something more stimulating. 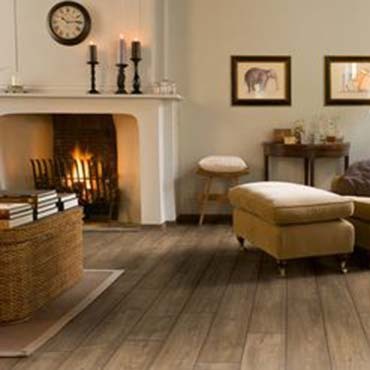 Country house planks with artisan look and feel. 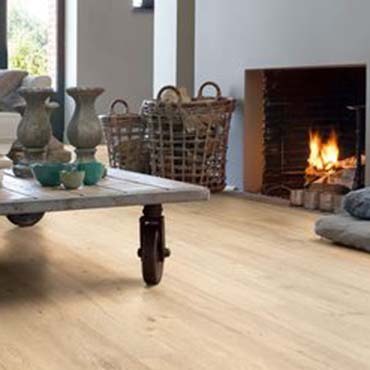 The wood flooring used in country estates was felled and manufactured by hand using traditional skills. Each plank was unique and distinctive. No surprise these expensive floors could only be found in the nobility of society. 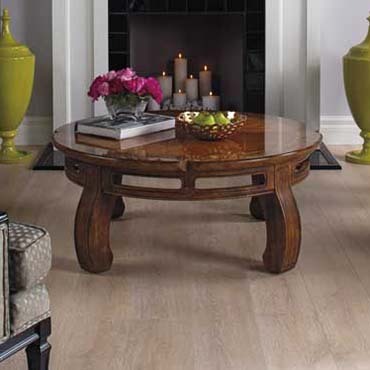 Feeling this product and you would swear that authentic wood materials have been used to create this pastoral style. You feel and perceive the hands of a craftsman in every plank. Each board has recessed edges, as you would expect in a felled timber floor. Furthermore, the planks are 6/16” (9.5 mm ) thick, which ensures you get a more well-formed and a comfortable sensation. When designing Perspective®, they allowed themselves to be entirely inspired by nature. 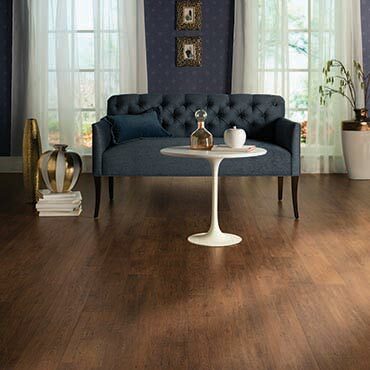 The pure hardwood design in the plank is brought to life with an eye for detail and distinction. The V-grooves make your rooms appear much larger. 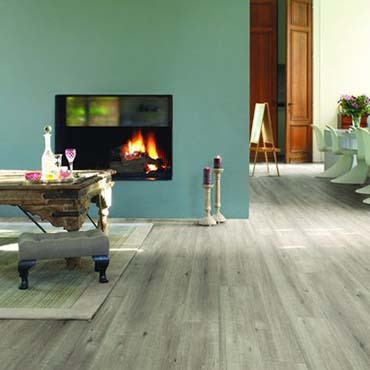 Its warmth and hospitable character increases the look and feel of an expansive solid plank. Perspective® guarantees years of flawless quality. 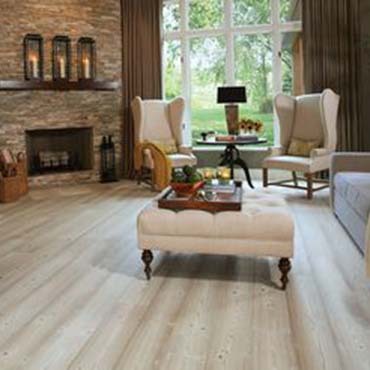 This 9.5-mm-thick floor (6/16”) also recreates the sound and sense of a genuine solid plank. 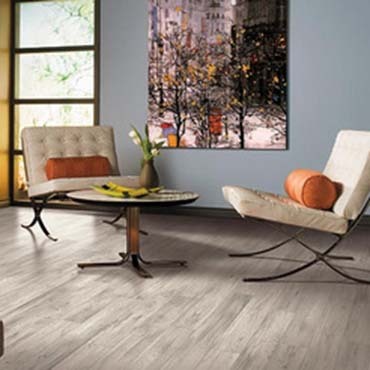 Elegance® is a refined combination of planks in three different lengths (SML 3-optic), separated by a slight v-groove (Micro-Perspective®). This gives your space an especially natural and varied effect. Versatile stone tiles that exude warmth and conviviality and need very little maintenance. Quadra is unique! Both the ceramic and natural stone tiles can be installed in cross pattern and a half-half motif or combined to make a chessboard pattern. Quadra tiles radiate comfort and pleasure. Thanks to Uniclic®* they can also be installed very fast, without you getting in a mess. 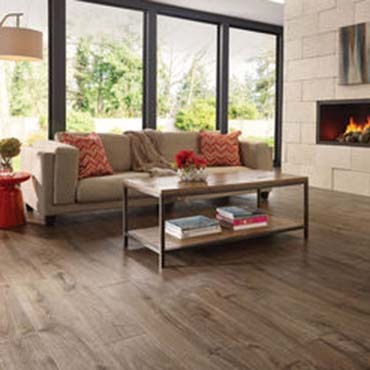 The Eligna collection sets a warm, natural tone. Prepare to be charmed by the details in the wear surface and the diversity in the hues. 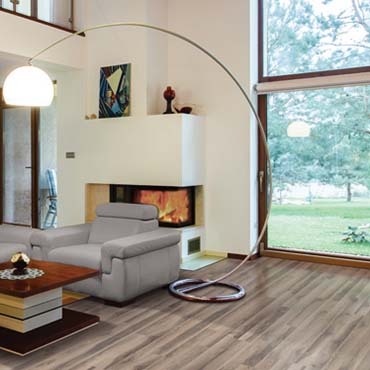 The Eligna single and double plank designs come in a wide array of wood types and tints. The quality of this manufacturer is always high. 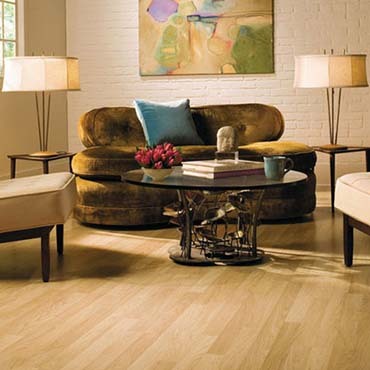 Classic adds the combination of wide diversity in color and style, natural look and feel, functionality and quality. 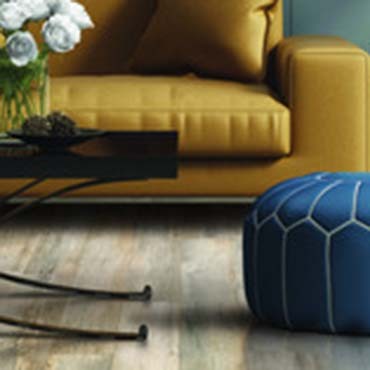 The single and three plank designs are the focal point of a durable interior that’s both personal and contemporary.